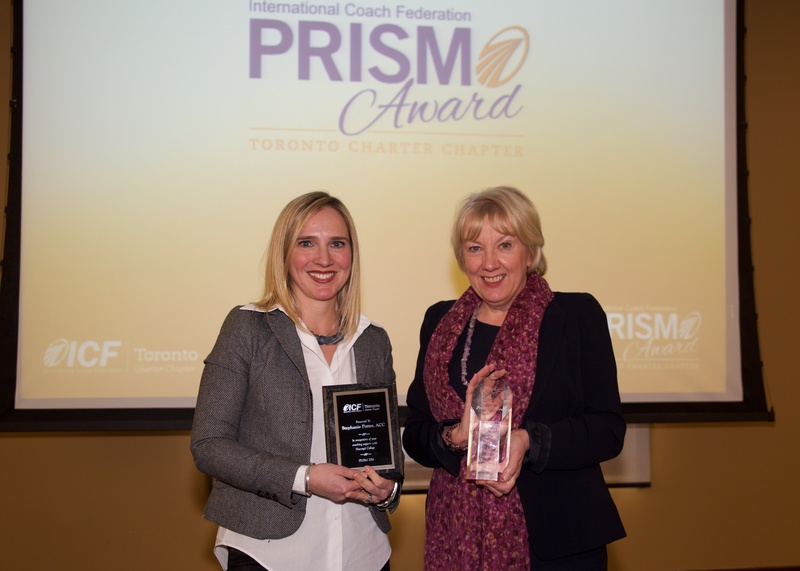 Bell Canada was awarded for the ICF Toronto PRISM Large Private Sector category, which was accepted by Angie Harrop, Director, HR - PMO, Strategic Initiatives & Analytics. Partnering with Knightsbridge Human Capital Solutions, including coaches Tracy Cocivera and Kim Rogers, Harrop described data which proved how one-on-one coaching for the retention and accelerated development of their high-performing 'Next Generation' leaders was a resounding success, and "aligns with our strategy for an 'engaged, diverse, and agile' talent pipeline." 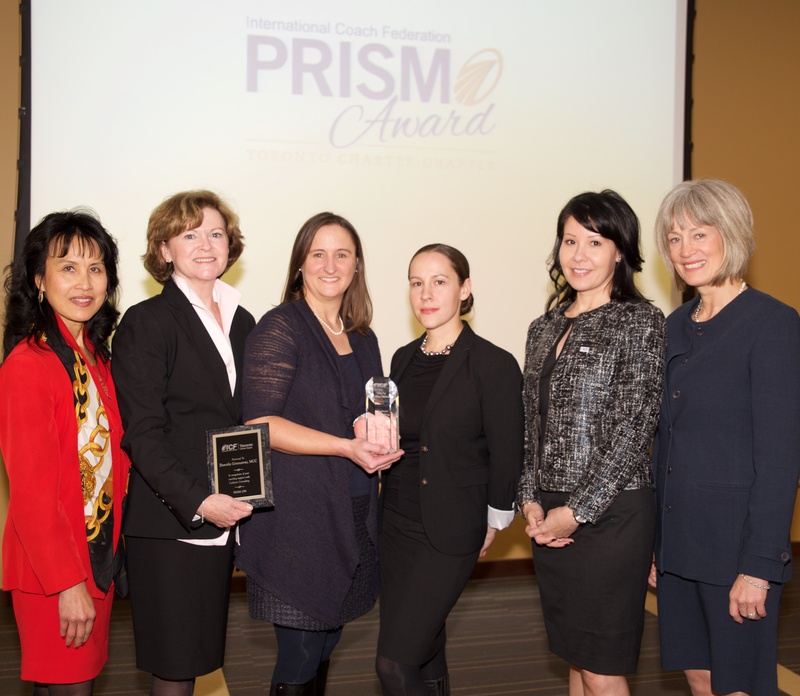 Download the PRISM business case for Bell Canada here. 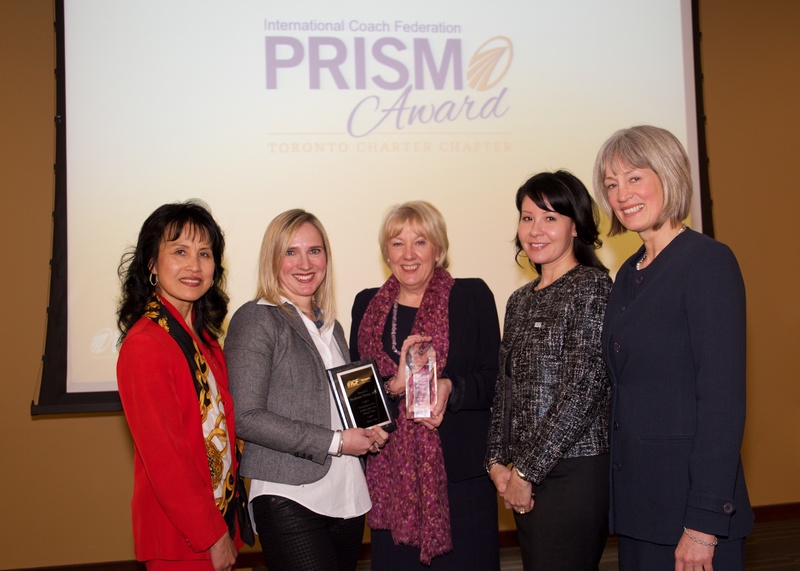 The award for the ICF Toronto PRISM Medium Private Sector category was Nelson Education, a Canadian publisher, and was accepted by Jessica Phinn, VP of People and Engagement. 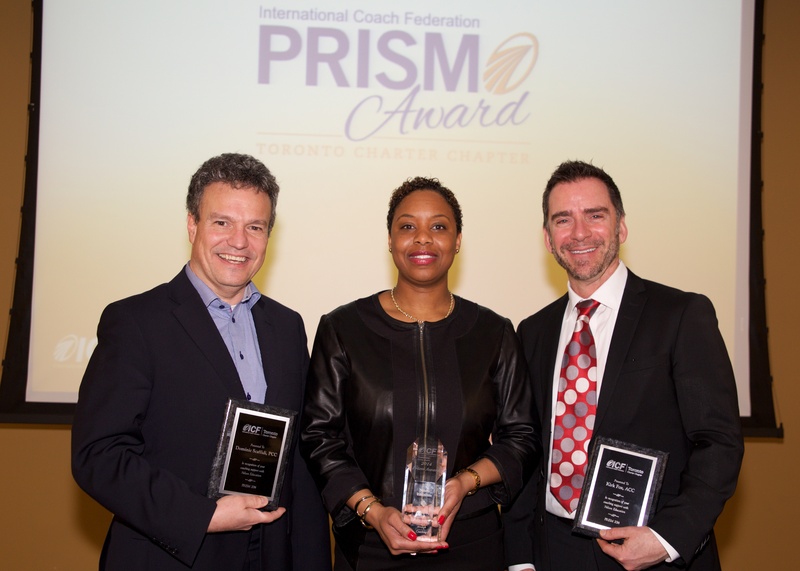 Nelson's Vision of "fostering an agile organization," was served through the culture-shifting "Coaching Excellence" program led by coaches Kirk Fox and Dominic Scaffidi. Fox said that after the program, "A full 100% of participants said they would recommend the program, and managers told me that they were having meaningful and effective conversations for the first time." Download the PRISM business case for Nelson Education here. 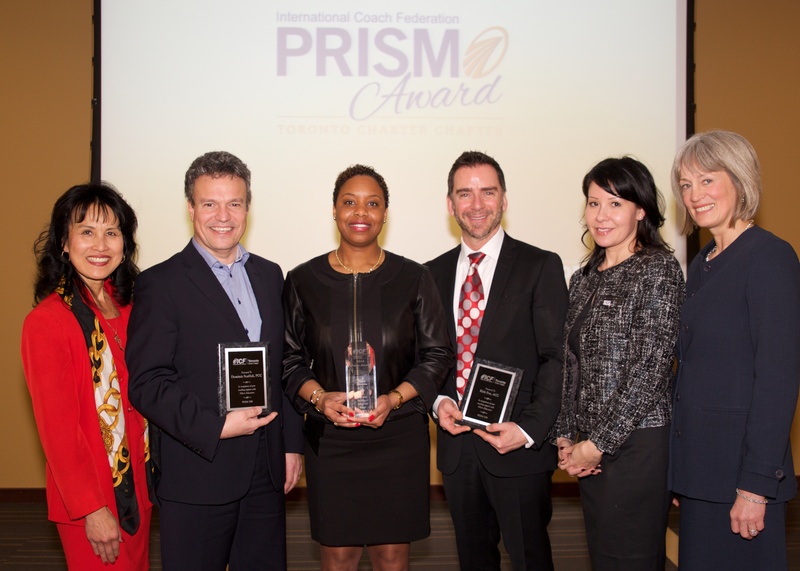 Cathexis Consulting was awarded for the ICF Toronto PRISM Small Private Sector category. Accepting the award was CEO Rochelle Zorzi, who explained, "We experienced extreme cycles of feast and famine, and were determined to make a substantial change." She hired executive coach, Dorothy Greenaway, to support developing and implementing a new strategic focus of "Good Relationships, Cool Projects." Outcomes were dramatic, measured across four key performance categories, and included a return to profitability. 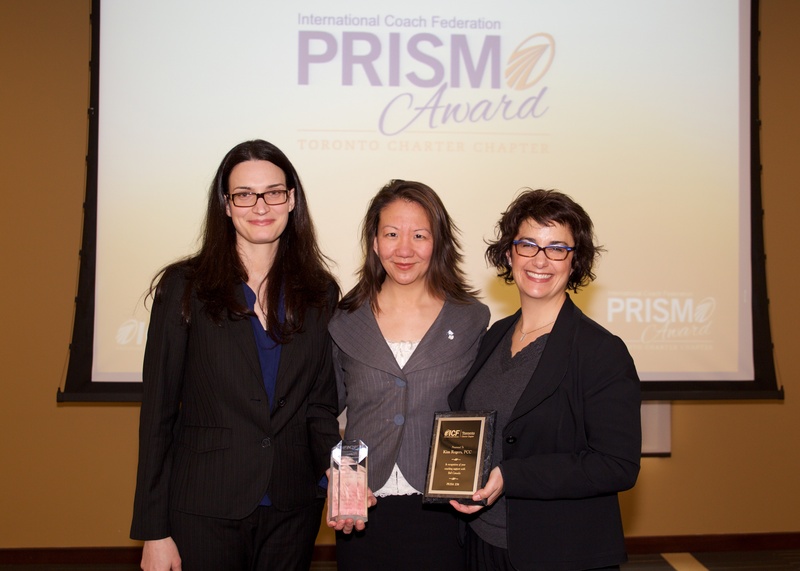 Download the PRISM business case for Cathexis Consulting here. 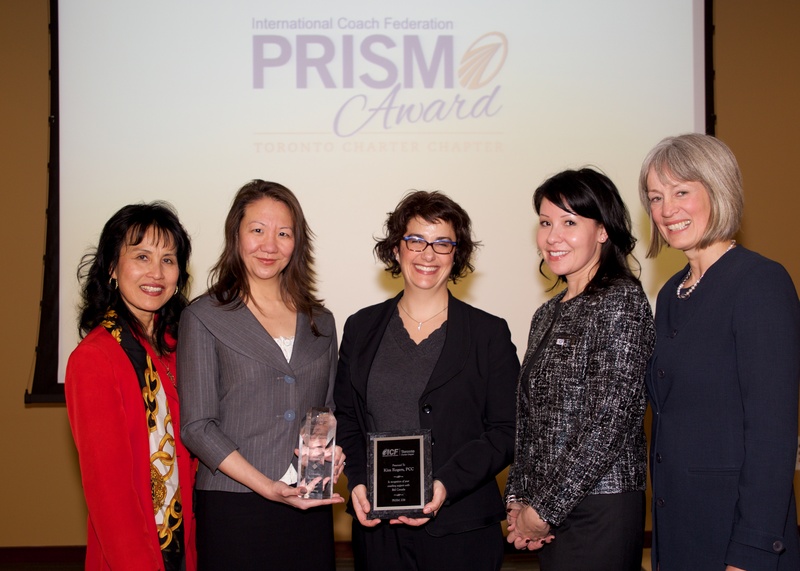 Havergal College, an independent school for girls, was awarded for the ICF Toronto PRISM Not-for-Profit category. 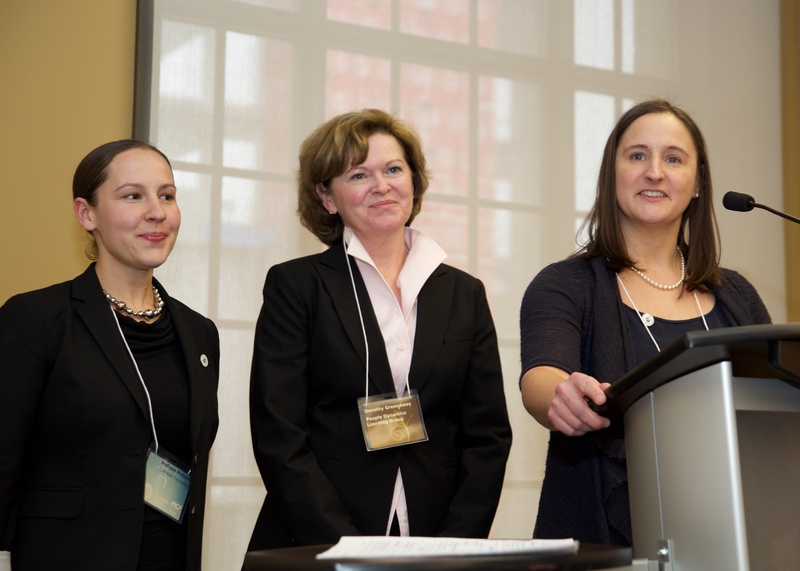 Accepting the award were Helen-Kay Davy, Principal of Havergal College, and leadership coach Stephanie Potter who said, "Key focus areas of the college's strategic plan are Self-Efficacy and Global Capability, two aspirational goals embedded in intent of their coaching program." Through coaching the over 100 employees who volunteered for this unique form of professional development, the school has proved their commitment to faculty and staff in service of their goal of "Preparing Young Women to Make a Difference." Download the PRISM business case for Havergal College here.